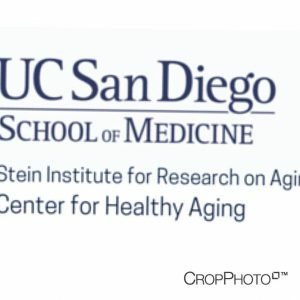 The Sam and Rose Stein Institute for Research on Aging, at the University of California, San Diego School of Medicine, is dedicated to the development and application of the latest advances in biomedical and behavioral science knowledge to issues of successful, healthy aging and the prevention and reduction of the burden of disability and disease in late life. Research: From studying memory to identifying genes with important roles in aging, Stein Institute scientists are continuously pushing the boundaries of knowledge. Our findings have been published in the most prestigious peer-reviewed journals and quoted by popular media, including the New York Times, U.S. News & World Report and the Huffington Post. One of our most promising ongoing projects is the Successful AGing Evaluation (SAGE) Study. SAGE is the only large-scale study on successful aging that considers the impact of positive psychological traits, such as resilience and wisdom, in addition to biological factors, providing a much more complete picture of older adults. Training: To prepare the next generation of leaders who will continue to make breakthrough discoveries in the study of healthy aging, scientists have provided training to 250 students, including local high school students and medical and graduate students from across the country. This year they invited fifty high school students from traditionally underserved communities to attend our very first Brain Fair, an event designed to spark their interest in the field of neuroscience and aging. In addition, they provide numerous grants to junior faculty, as well as education programs for doctors and researchers through our monthly Grand Rounds. Public Outreach: Their monthly public lectures presented by renowned physicians and scientists are broadcast on UCSD-TV and have been viewed more than one billion times. This year they also partnered with the Clinical and Translational Research Institute and the Osher Lifelong Learning Institute to organize Making Sense of Science, a course for older adults interested in science and health. In addition, they distribute a free monthly newsletter and work extensively with our community, participating in numerous events and conferences.